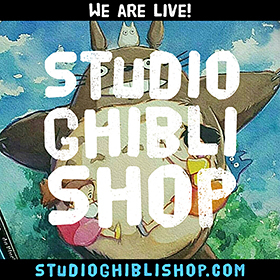 The story begins with a prologue set in late 1960s Japan. 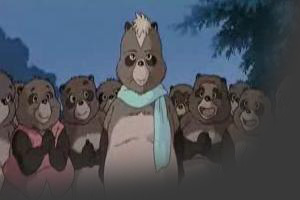 A group of Tanuki is threatened by a gigantic and ongoing suburban development project called Tama New Town, in the Tama Hills on the outskirts of Tokyo. The development is cutting into their forest habitat and dividing their land. 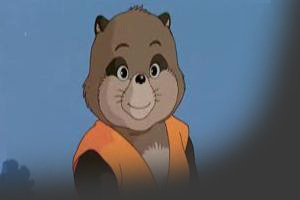 As construction continues, the story resumes in contemporary (early-90s) Japan where, with the amount of living space and food decreasing every year, the Tanuki begin fighting among themselves for the diminishing resources of their habitat until at the urging of the matriarch Oroku (“Old Fireball”), they decide to unify against the humans to stop the development. 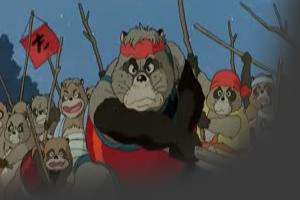 Several prominent Tanuki lead the resistance, including the aggressive chief Gonta, the old guru Tsurugame, the wise-woman personage Oroku, and the young and resourceful Shoukichi. Using their illusion skills (which they must try to re-learn after having mostly lost and forgotten them), they stage a number of diversions including repeated attempts at industrial sabotage. All these temporary victories amount to nothing, however, as more workers immediately replace the ones who’ve been scared away. 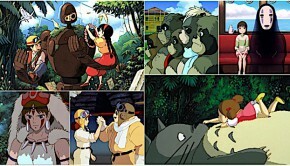 In desperation, the Tanuki send out messengers to seek the help of various legendary elders from faraway regions, while continuing their resistance at home. After several years, one of the messengers returns bringing a trio of Tanuki elders from the distant island of Shikoku (where development is much less of a problem and or perhaps because, the Tanuki there are still worshipped much more actively). In an all-out effort at re-establishing respect for the supernatural, the entire group stages a massive “ghost parade” to make the human residents think the growing town is haunted. The strain of the massive illusion kills one of the elders, and the effort seems wasted when the owner of a nearby theme park falsely takes credit for the parade, claiming it was all just a publicity stunt. 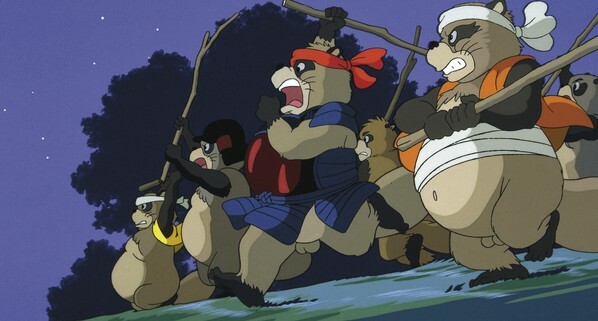 With this tremendous setback, the unity of the Tanuki finally fails and they break up into smaller groups, each following a different strategy. One group led by Gonta takes the route of eco-terrorism, holding off workers for a time until they are eventually wiped out in a pitched battle with the police. 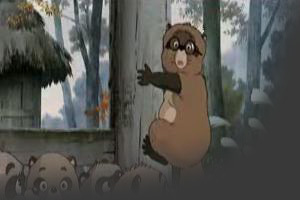 Another group of Tanuki including Tsurugame and Oroku desperately attempt an option that was previously unthinkable; they arrange for television coverage and publicly reveal themselves to the media to plead their case against the destruction of their habitat. 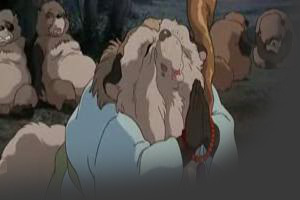 One of the two surviving elders becomes senile and starts a cult among some of the Tanuki who are unable to transform, eventually sailing away with them in a treasure-ship that takes them all to their deaths, while the other elder investigates the possibility of joining the human world as the last of the transforming foxes (kitsune) did before them. When all efforts fail, in a last moving act of defiance, the remaining Tanuki stage one last grand illusion, temporarily transforming the urbanized land back into its pristine state to remind everyone (including themselves) of exactly what has been lost. 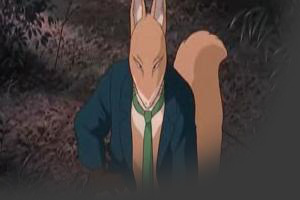 Finally, their strength exhausted, the Tanuki most trained in illusion are left with no choice but to follow the example of the kitsune and abandon those of them who can’t transform, to disperse and blend into the human society. 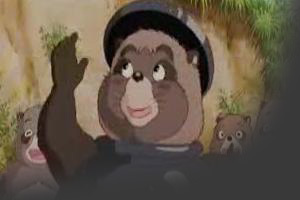 And while the media appeal comes too late to stop the construction, the public responds sympathetically for the Tanuki, which pushes the developers to at least include some parks for the few non-transforming Tanuki left. 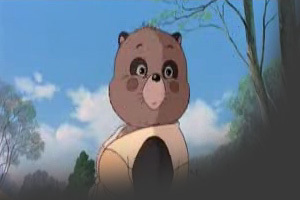 In a touching coda to the story, one day Shoukichi, who also joined the human world, is coming home from work when he sees another Tanuki running toward a golf course to meet his companions. 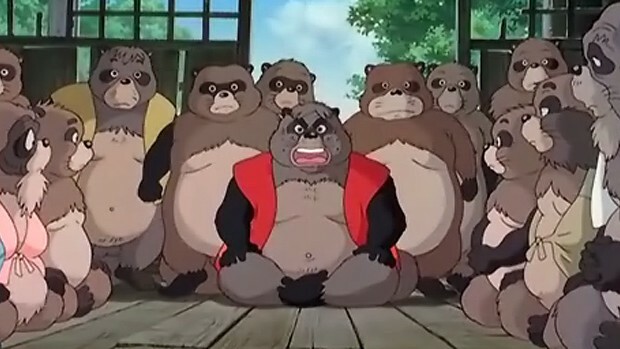 Overjoyed, Shoukichi follows and joyfully transforms back into a Tanuki to join in the gathering. 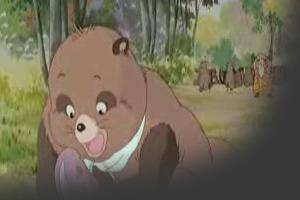 In an emotional final scene, Shoukichi’s friend, Ponkichi (pictured below) addresses the viewer, asking humans to be more considerate of Tanuki and other animals less endowed with transformation skills, and not to destroy their living space. 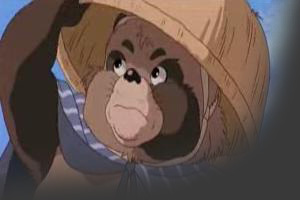 Shoukichi is a well-respected young tanuki (Japanese raccoon-dog). He is particularly well-known for being good at the ancient art of transformation at such a young age and before training. He tries harder than the other tanuki to co-exist with the humans rather than exterminating them, although he “pretty much hate(s) their guts”. He is friendly to other tanukis and thinks before he does anything rash. 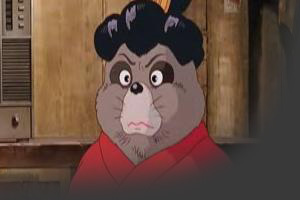 He accepts the elder tanuki’s council on serious matters, but also makes his opinion known. 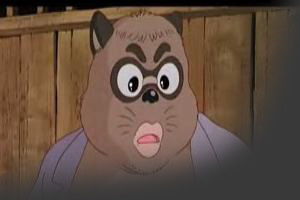 Bunta is a serious and robust tanuki. He is chosen through a rock-paper-scissors contest to search on Sado Island for the transformation master there. He loves the Tama Hills, where most of the tanuki live. 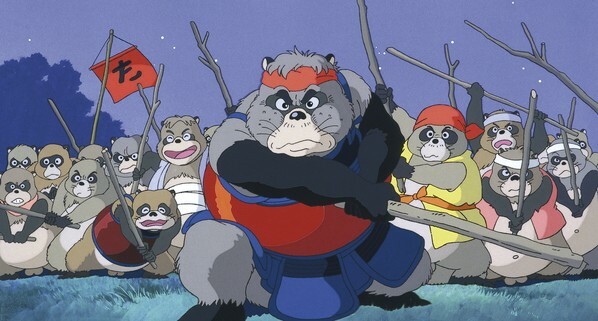 The leader of the red tanuki army fighting against Seizaemon’s blue army before the tanukis banded together against the humans. Gonta is hot-headed and always ready for action. He can not stand to see others being lazy while there is work to be done. His rashness and thoughtlessness often leads to quick action, but of questionable effectiveness. He is an important member of the decision-making committee. The elderly head female of the Tama Hills tanukis. She knows the art of transformation and teaches the other tanukis who have not learned how to do it. 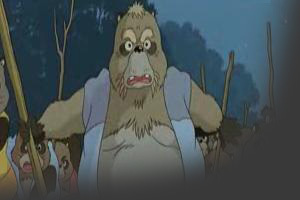 She, along with Osho, leads the tanukis of Tama Hills. She is rational and wise. She stops the battle between the red and blue armies and says that the tanukis should have no more cubs until the situation with the humans is resolved. 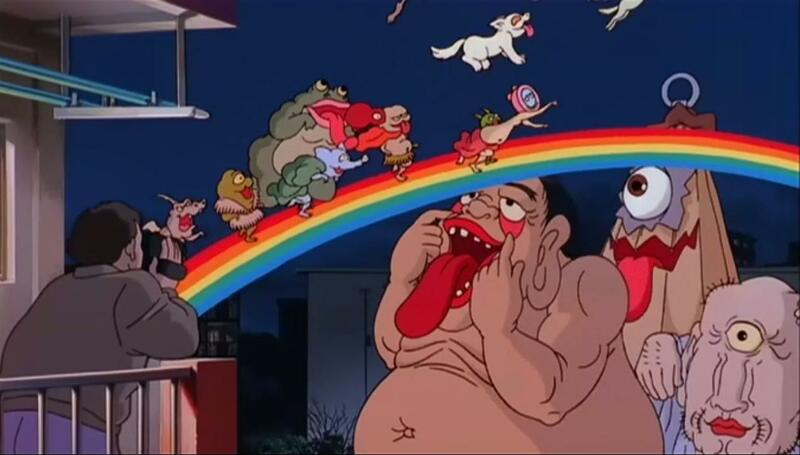 Tamasaburo was chosen to go to Shikoku Island to search for transformation masters in the same contest as Bunta. He is young, loyal, and thinks clearly. He takes his mission seriously. While on Shikoku Island, he meets Koharu and marries her. One of the female tanukis. She is kind and listens to the elder’s advice. Shoukichi has a special fondness for her. She likes to sing and play games. She is skilled at transforming and likes to scare human construction workers. One of the three transformation masters from Shikoku Island. 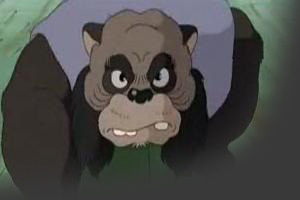 Inugami Gyobu is the most intimidating of the three masters. A long time ago, he joined with a group of villains, but now he wants to pay for his past misdeeds. One of the three Shikoku Island transformation masters. 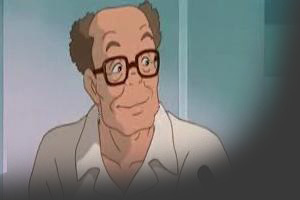 He is the father of Koharu. 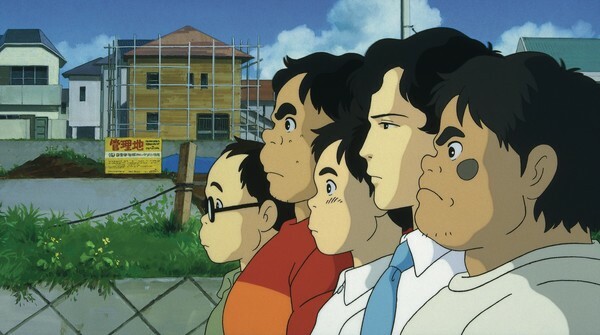 Kincho is more emotional than the other masters and is very humble, calling himself “only the sixth in a long line”. He likes to stick to tradition, but will ungrudgingly promote change if it is necessary. One of the three masters from Shikoku Island. Yashimano is 999 years old, and witnessed several ancient famous battles with his own eyes. His common sense is starting to fail from age, but he can transform more convincingly than most tanukis. The elderly head male of the Tama Hills tanukis. Osho is 105 years old. 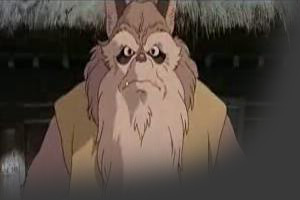 He is a popular leader, knows about old tales, and can transform as well as Oroku. The daughter of Kincho XI and the wife of Tamasaburo. She thinks of her children before anything. 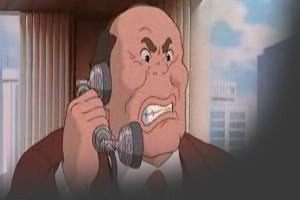 The leader of the blue army fighting against Gonta before Oroku stopped the battle. 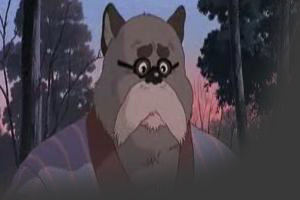 Seizaemon is more sensible than Gonta, but just as quick to action if he thinks it is necessary. 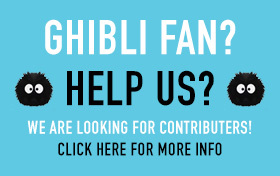 After the tanukis band together, he is a member of the decision-making committee. Shoukichi’s best friend since childhood. Ponkichi is less focused than Shoukichi and not nearly as good at transforming. One of the female tanuki. She listens to Oroku’s warning to not have any more cubs. One of the male tanuki. He tries to terrify humans instead of killing them. 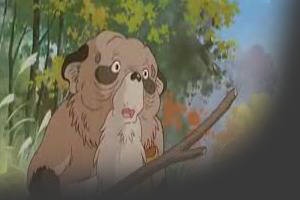 A transforming tanuki from Fujino Woods. The art of transformation is not as well-known in the Fujino Woods as it is in the Tama Hills, but Hayashi can transform for a short while with the help of a leaf. He comes to the Tama Hills to see where the dirt being dumped on the Fujino Woods is coming from. Ryutarou is a transforming fox. Transformation comes naturally to most foxes, although some cannot do it. 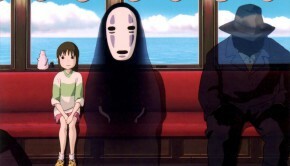 Ryutarou has permanently moved into Tokyo, using his abilities to disguise himself and earn money. 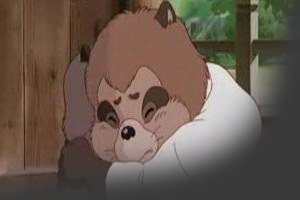 He is cordial and respectful to tanukis. President of the Wonderland Theme Park, or course. He is obsessed with bringing in more visitors to his park. One of Shoukichi’s friends. He thinks quickly and prefers peace. A human professor of religion and folklore. He thinks that if the removal of sacred shrines is responsible for the havoc around the Tama Hills construction projects, the builder’s problems are only beginning.